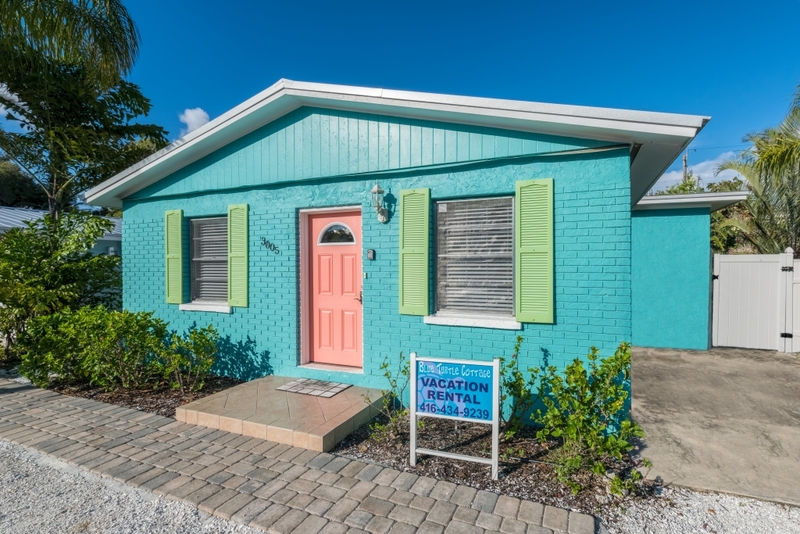 Blue Turtle Cottage is an Anna Maria Island vacation rental less than a minute walk to the sugar white beach that Anna Maria Island is famous for. Wow! a beach that stretches as far as the eye can see! Please note that there is a 7 day minimum reservation February to April & June to August. Inside you will find the cottage meets your every need. The kitchen has new granite counters, stainless steel appliances and has been newly outfitted with everything you need for a fabulous vacation. 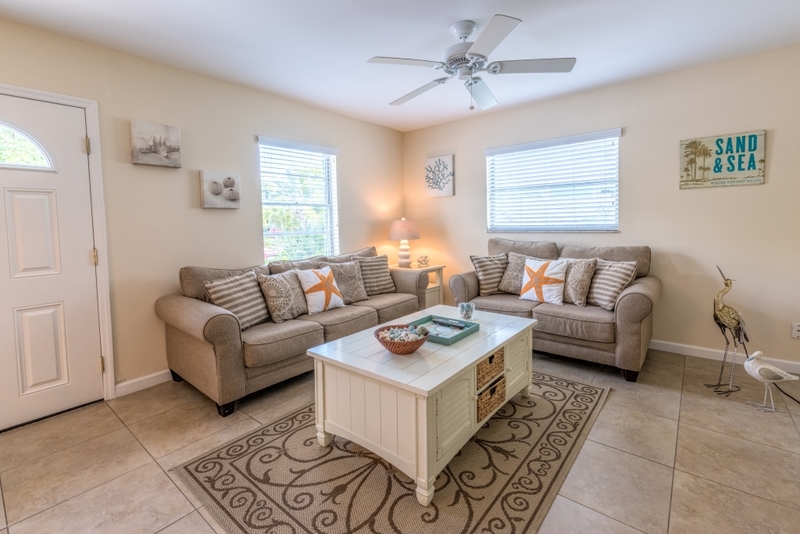 The living room features a flat screen TV with expanded cable and an ipod dock for your complete entertainment. Each tropically decorated bedroom is a private oasis with it’s own TV, new quality cushion top mattresses, and private closet. Walk out the front door and you can hear and smell the ocean because it is only 2 houses to the beach! You will never need to miss a morning beach walk or a breath taking sunset. This also makes it infinitely easier to go back and forth from the beach all day long when you are so close. In the private, tropically landscaped backyard you’ll find the the sparkling blue pool with plenty of tropically colored chairs around to lounge in. You won’t always have to go out to eat: BBQ on your on barbecue and eat al fresco at the outdoor patio dining table. There is also a refreshing outdoor shower to wash away the sand from the beach. You may have a hard time leaving to go anywhere else! 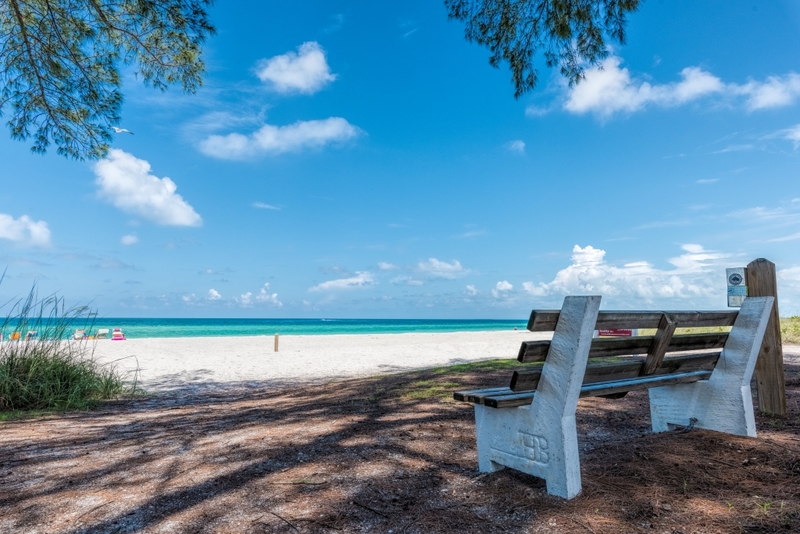 Anna Maria Island is known for its laid back, old Florida vibe. A perfect place to come and unwind in an unhurried atmosphere that allows you to decide whether you want to adventure or just relax – whatever your mood. IF you do decide to leave your private oasis, there are plenty of other activities on the island. Anything from a leisurely bike ride to a fun game of mini putt to a heart pounding para sailing ride. If you want a night off of cooking there are also many good restaurants right on the island. Some are beachfront, what a treat! We are always available to our guests for any query or local information and offer a superior personalized experience. 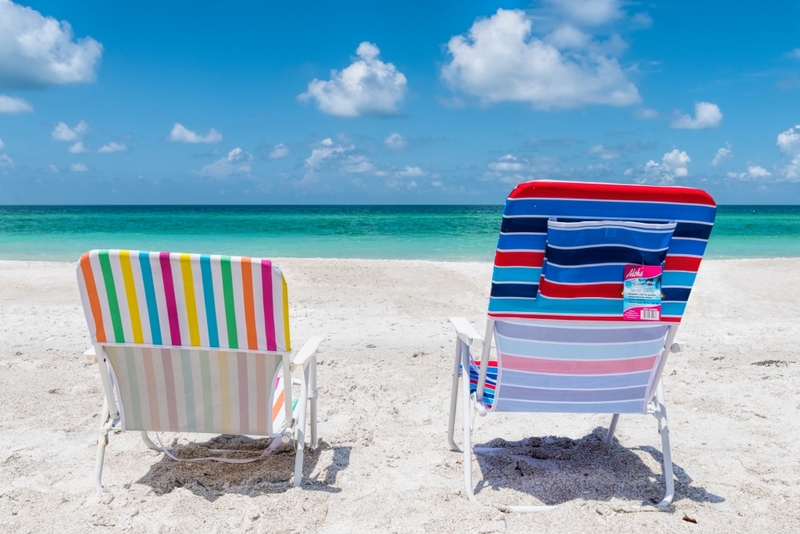 We have tried to anticipate all your vacation needs so you can just focus on enjoying your time on Anna Maria Island. Don’t worry about bringing beach towels/toys/chairs, we have provided them! Blue Turtle Cottage is a great tropical escape year round. As a winter escape from a cold climate, or a beach escape at any time of the year. There isn’t a bad time to visit. Fly in to Bradenton-Sarasota International Airport (closest) or Tampa International Airport. 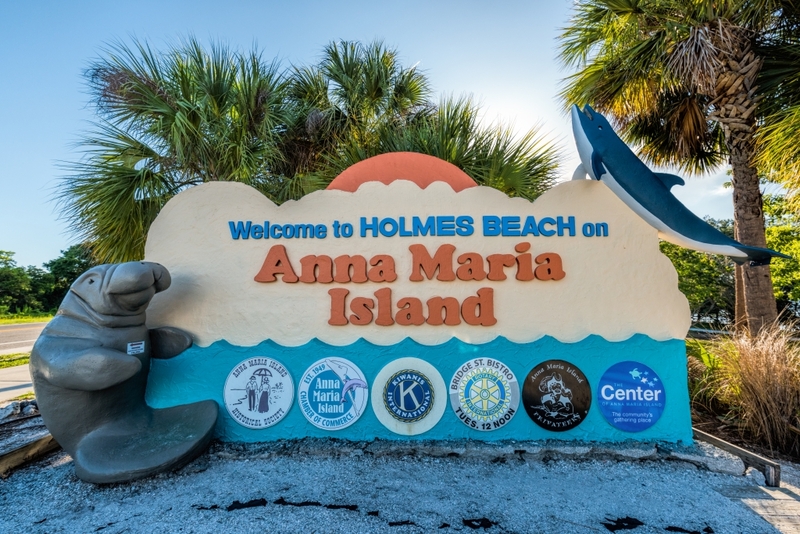 Being located in Holmes Beach, the middle of 3 small cities on the island, is ideal to explore, shop or day trip. Close to the main shopping on the island – grocery, pharmacies, restaurants and more – as well as a main causeway to get on and off the island and the free trolley stop. 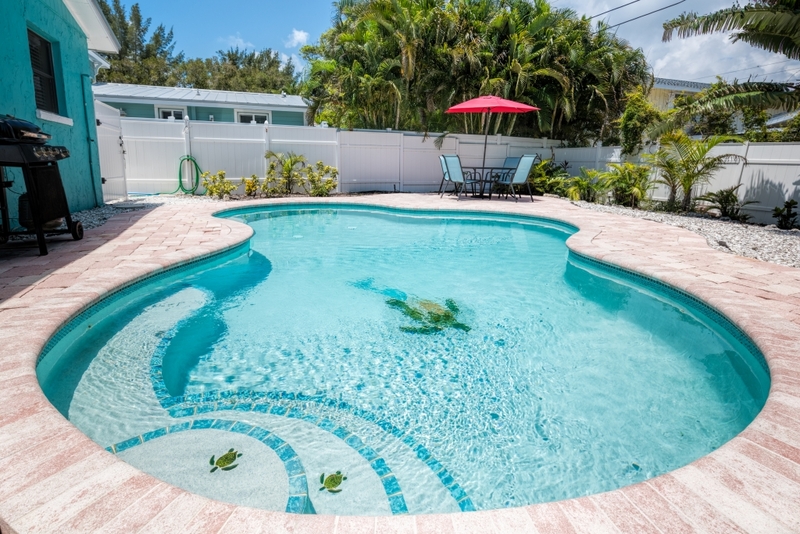 It’s also an easy drive, golf cart ride, bike ride, or trolley ride to Bradenton Beach or Anna Maria Island City.